Christmas in Colombo is all about having a great dinner with family or friends. Sri Lanka is a mainly Buddhist country but Christians and non-Christians all celebrate Christmas together and Christmas has become more of a human celebration and less of a religious one. Every shopping center, store, little kade or bakery has at least some kind of classic Christmas decoration and Christmas morning is welcomed in with firecrackers at midnight. 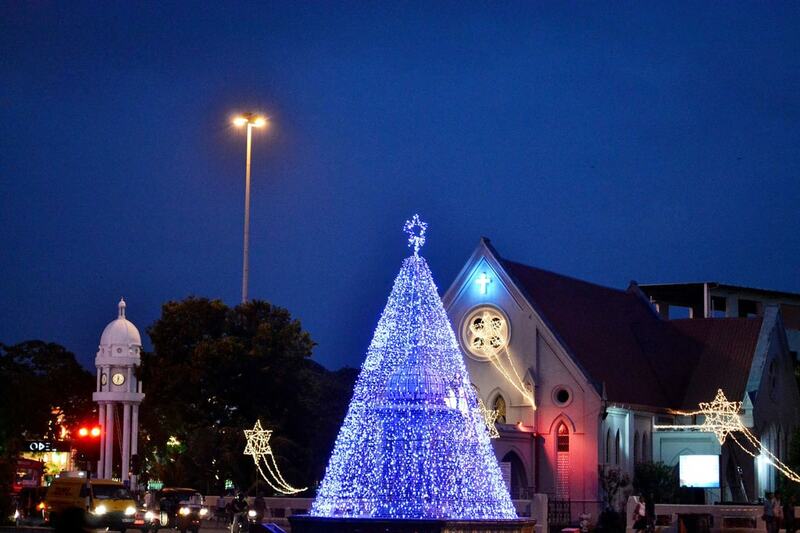 Spend a couple of days in Colombo and experience a Sri Lankan Christmas Eve. The Galle Face Green, a large open area close to the Fort is home to a yearly Christmas Fair. Plenty of rides and games for the children, paired with Christmas music and a gigantic Christmas tree. Many people from the city come to the fair for some Christmas fun. Open for about a week before Christmas, The Colombo Christmas Street is a fair with stalls that sell gifts, music and dancing. There are Christmas carols and yummy things to eat. Many Christians will attend Midnight Mass. There is a choice of attending Mass in Sinhala or in English. In Sinhala, you can attend at any of the churches and cathedrals in the city. For an English service, go to St. Andrews Scots Kirk. The Cinnamon Grand Hotel is extensively decorated for Christmas. 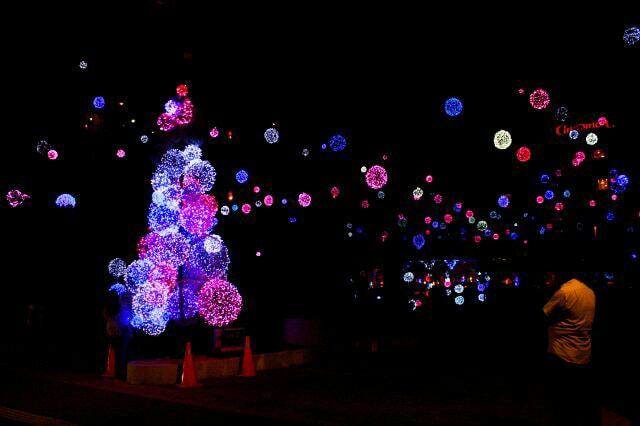 Every year the decorations are a different color combination and there are around 10 trees decorated in varying styles. The Cinnamon Grand also has plenty of restaurants where Christmas dinner is served. The sitting area on the first floor is turned into a Christmas fair where you can get Christmas goodies. There are five restaurants at the Cinnamon Grand Hotel and they will all be serving a Christmas feast. The Cinammon Grand is a festive favourite so these dinners get pretty full, be sure to make a reservation. Every December, the Galle Face Hotel is beautifully decorated with a great big tree in the entrance and other tasteful details around the hotel. During December, guests are served Christmas Cake that is prepared in October which is a celebration itself. On Christmas Eve, The 1864 Restaurant serves a Christmas meal. On Christmas Day they offer a lunch buffet on the verandah. On Christmas Eve, Rare at Uga Residence has a six-course menu with a pretty nice selection of wines and cocktails. The restaurant will have a three-piece band as part of the entertainment that night. There will be two seatings, the first starting at 6:30 pm until 9:00 pm and the second from 9:00 pm until the end of the night. The chefs at OZO Colombo will be offering a festive Christmas Eve menu with a special Christmas style roast available from 7 pm at the EAT Restaurant. The best part of having dinner at EAT, is the uninterrupted view of the Indian Ocean and the Colombo skyline.